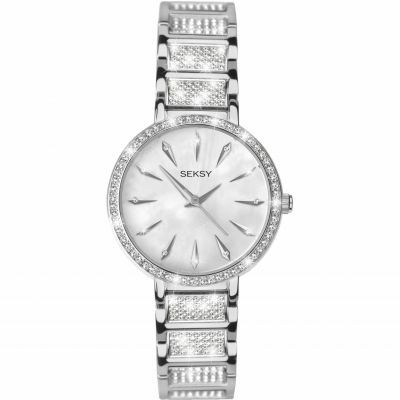 Seksy 2372 is a beautiful and attractive Ladies watch. Material of the case is PVD rose plating and the Rose dial gives the watch that unique look. We ship it with an original box and a guarantee from the manufacturer. The SeKsy watch my husband bought me for Christmas is beautiful. I love the subtle bling . The time is easy to read very important when you dont have your glasses on ! The colour is such a change from the usual white dial, black numerals. The overall look is classy yet functional . A big tick from me .